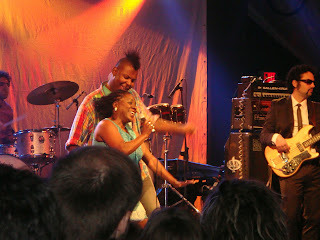 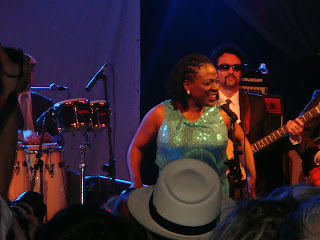 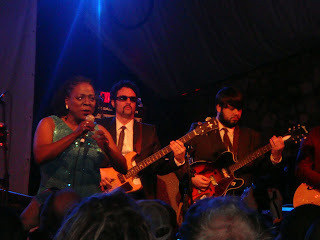 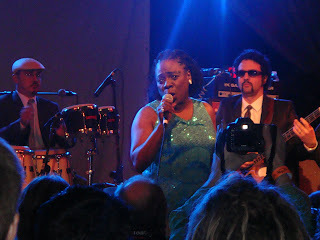 I saw some great shows my first day of SXSW, but Sharon Jones put on the most energetic show of the day! 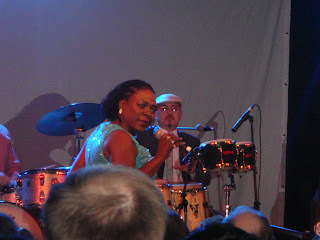 I probably wouldn't normally sit around and listen to her album, but live, it is quite the entertainment spectacular! 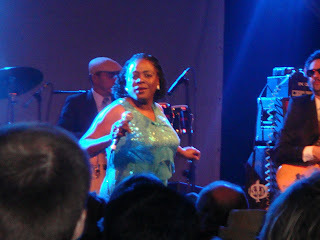 Sharon Jones lost her shoe at one point she was dancing so much (and this is after she told us she broke her little toe after going through security at the airport)! 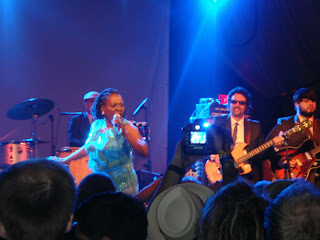 I also loved she brought up a guy from the audience to dance with her. 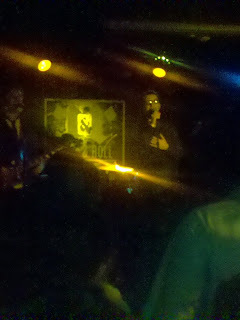 I just assumed he was a plant because he seemed so comfortable on stage in front of us all and he danced well, but at the end of the night I saw the saw guy (can't miss him - see the photo) after Spoon left the stage right up front on the rail.